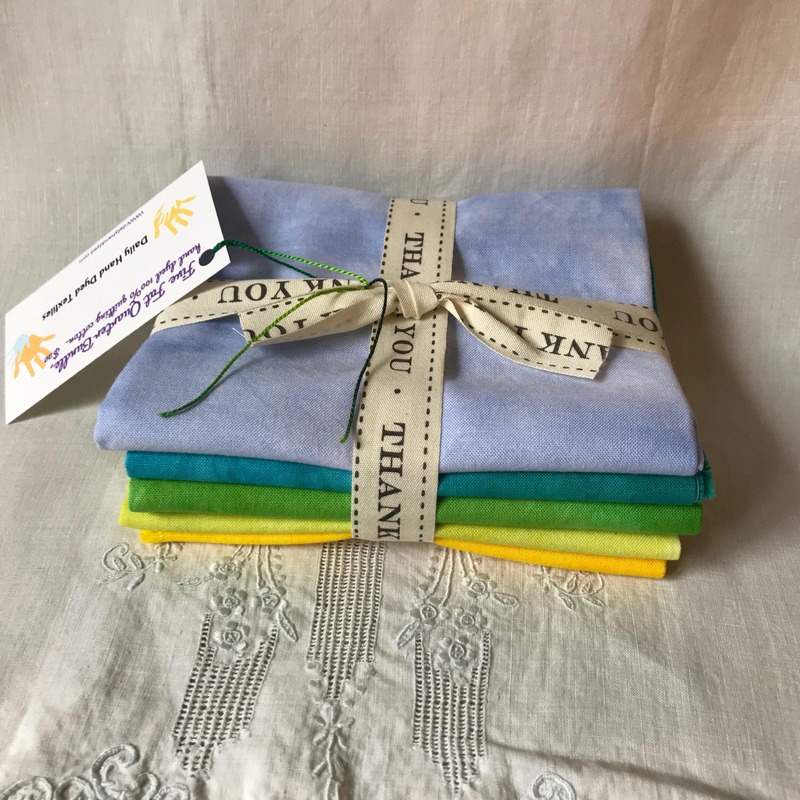 Five fat quarter bundle in 100% Kona or quilting cotton. Analogous array of blue, green, and yellow. 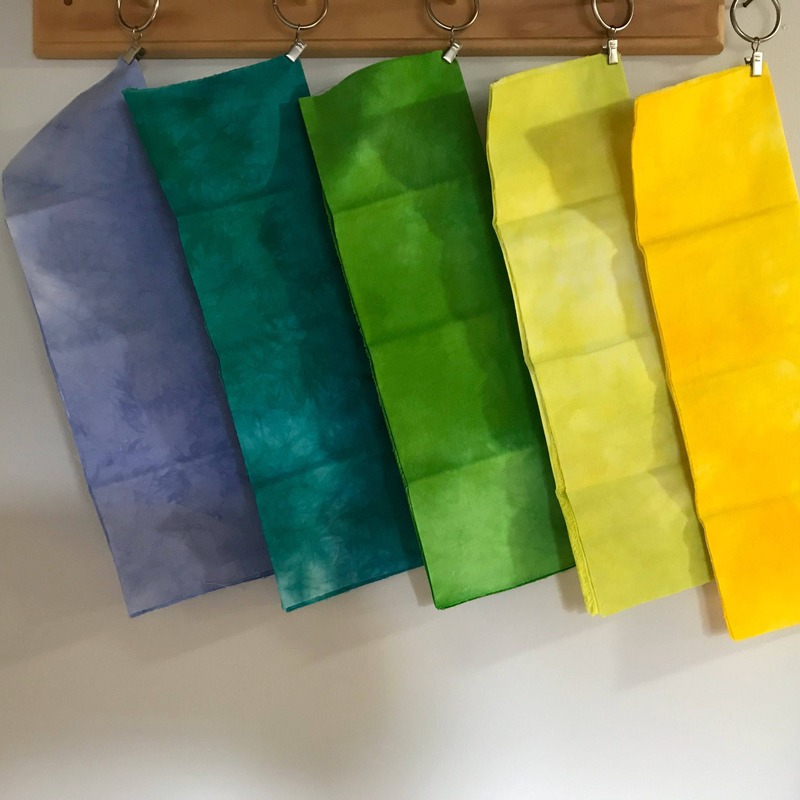 Five distinct shades in mottled hand dyed technique. 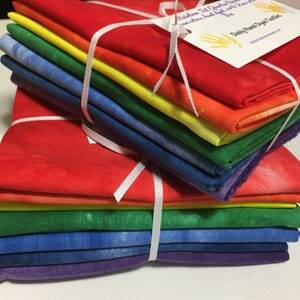 Great for quilting, creating your own fabric and DIY projects. 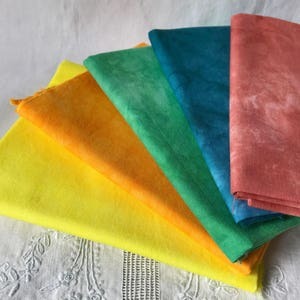 Fabric makes good garments and is excellent for to tote bags and other fashion statements. Preshrunk and ready to use. Some blending may occur in first wash, recommend a SHOUT sheet in the first wash to attract any loose dye particles. 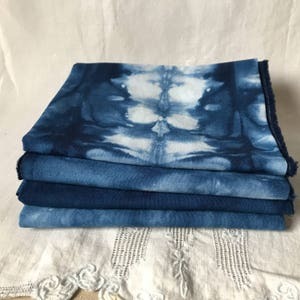 Fat quarter bundle, indigo fat quarter bundle, shibori fat quarter bundle, Kona cotton, 100% cotton (FQsh1) 18x22. No two are exactly alike. 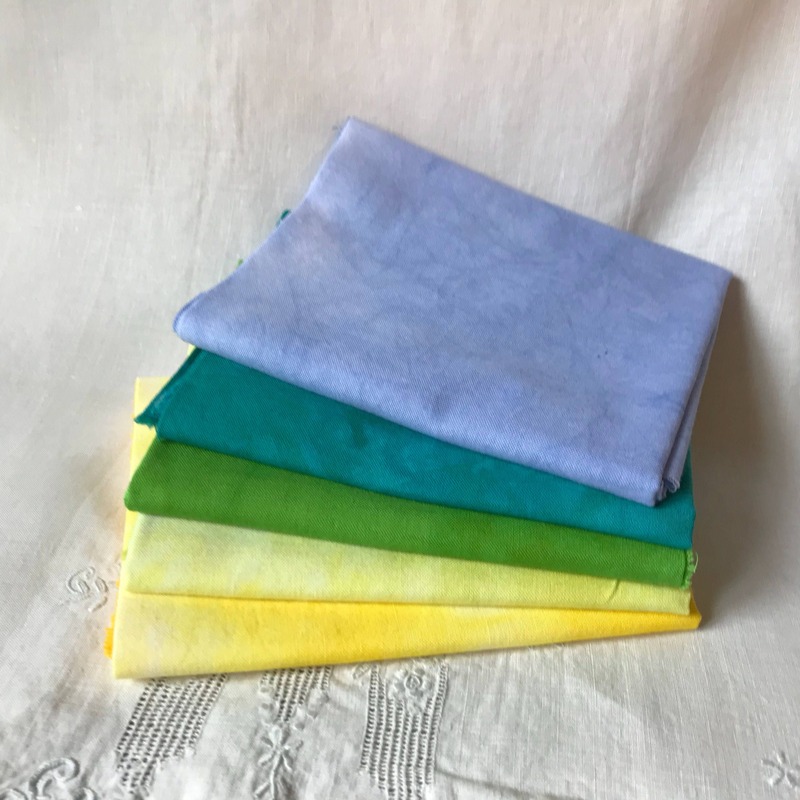 Fat quarter Bundle, (BUN.RAIN) seven FQ in rainbow colors, mottled. 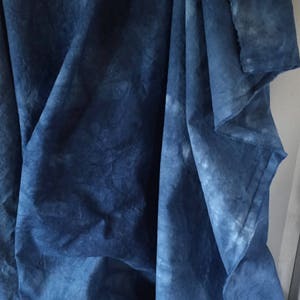 Also available in shibori variation.